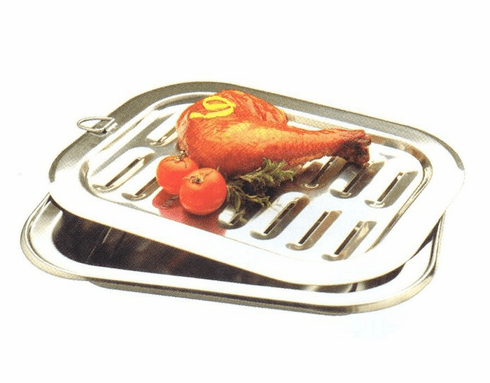 This broiler pan will drain fats and oils off meats while cooking or broiling in the oven with the drain slots on the top pan. Made of durable stainless steel. Measures 9" x 12"